The ADS8507 is a complete low power, single 5-V supply, 16-bit sampling analog-to-digital (A/D) converter. 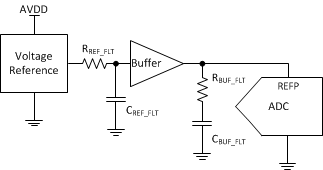 It contains a complete 16-bit capacitor-based, successive approximation register (SAR) A/D converter with sample and hold, clock, reference, and data interface. The converter can be configured for a variety of input ranges including ±10 V, 4 V, and 5 V. For most input ranges, the input voltage can swing to 25 V or -25 V without damage to the converter. A SPI compatible serial interface allows data to be synchronized to an internal or external clock. A full parallel interface with BYTE select is also provided to allow the maximum system design flexibility. The ADS8507 is specified at 40 kHz sampling rate over the industrial -40°C to 85°C temperature range. QSPI, SPI are trademarks of Motorola.